Finding 0% APR credit cards is easy, as the offers are plentiful. 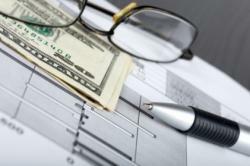 However, understanding how these promotions work and how they fit into a sound financial plan takes a bit of research. It's not a fairy tale: many credit card companies offer consumers a credit card with an annual percentage rate of 0 percent. Seems redundant to even mention the APR if it doesn't amount to anything. Ah, but it does. That's the most important fact to remember when shopping for 0% APR credit cards: that rate will not last indefinitely. It's a promotion extended by credit card companies to secure new customers, plain and simple. 0% APR is available for an introductory period, such as six months to a year and a half, after which the APR increases considerably. The rate often applies only to balance transfers, not the charges built onto the card. 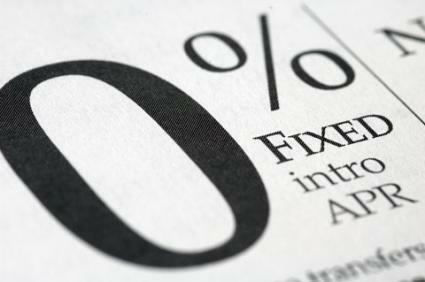 0% APR is used as an enticement to take cash advances on the card, which are later charged a higher APR. A card with this offer may also charge an annual fee for the privilege. There's nothing wrong with taking advantage of promotional offers, but for consumers with a less-than-perfect credit history or credit usage, it's a potential quagmire of difficulty. A credit card with 0% APR may seem like the answer to all credit problems. While it can aid in eliminating credit card debt by reducing the interest paid on old charges, a more wise decision is to examine spending habits and general lifestyle, then factor in how using a credit card will be a part of a disciplined financial plan. Build a reputable credit history. Switching to a 0% APR credit card can be an effective tool to consolidating credit card debt if the cardholder is committed to the task. Here are just a few of the advantages to using a card with no interest, even if for a limited time. Paying off debt. If you're still carrying a balance on a credit card and would like to pay it off, transferring that balance on a new credit card with 0% APR rather than holding it on the old card with a higher interest rate can be a good money-saving solution. But beware: sometimes that rate only applies to the balance carried over, not to additional purchases placed on the card. Establishing new credit history. For a cardholder to grow accustomed to new spending and saving habits after being in credit card debt, 0% APR credit cards temper the consequences of credit card usage and establish the importance of spending only what's available in the budget. The only caveat is that many lenders won't often issue this "good behavior" card to those with bad credit history, but it's a start to better money management. Take the time to investigate the options and restrictions with each offer. Using 0% APR credit cards is just another step to building knowledge about credit and how it can work to your benefit.